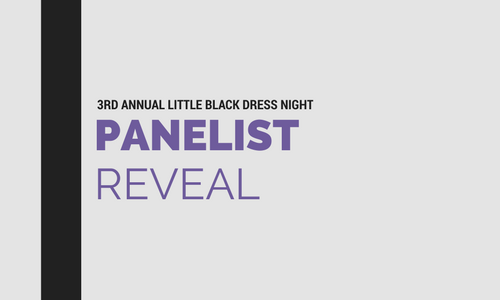 This week, we’re revealing our panelists one by one for the 3rd Annual Little Black Dress Night. 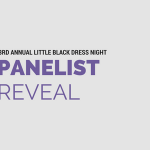 We want you to get to know our panelists ahead of the event. Today’s reveal is Manika Turnbull, our moderator for the event. Manika currently serves as the chief diversity officer for HCSC/BCBS IL. ChiTech: Talk about your involvement in tech. Manika Turnbull: While I’m not directly involved in tech as a formal job role, it is a part of my role as chief diversity officer in that my team is responsible for the STEM talent strategy for the organization. Our focus is on attracting STEM talent, bridging the STEM talent gap, and creating a STEM culture within the organization. What got you to the position you’re in today? I’ve always had a passion for diversity and inclusion no matter what job role I was in. My current role was a progression from my previous roles on the business side of the organization, including serving as chief of staff for Blue Cross Blue Shield Illinois. I think I bring a unique perspective to this role having been a leader in the business. I’m focused on helping the organization see the positive impacts that diversity and inclusion can have on business outcomes; diversity and inclusion is truly a business imperative. As an organization, we’ve espoused a strong diversity and inclusion culture, so it’s extremely rewarding that after 11 years I get to be a direct part of continuing to building that culture. How do you see yourself making an impact on your organization in the next two years? We’ll be building on how we approach our diverse talent acquisition strategy. My team is a part of the talent acquisition process; we are focused on not just the recruitment and hiring of diverse talent but how we leverage that talent. We always want to make sure people feel respected, connected and valued. What are your professional or personal goals? I’m always aiming to learn and grow. Growth is essential, and you should never settle for the status quo. One of my favorite quotes is “equilibrium is death”. If you settle, or you’re not constantly seeking to grow, the world is going to evolve past you. Academically, getting my Ph.D. No one told me I had to get it, it was always something I knew I wanted to achieve from a young age. I was working full time and climbing the ladder in my career at the same time that I was in school. I am proud of achieving it and proud that I’m able to benefit the organization through what I bring to the table as a result of this accomplishment. My father, definitely. He was a single dad who raised my brother, my sister and myself. He raised us to be strong, independent, hard-working people and to never make excuses. I also deeply admire Martin Luther King, Jr., in terms of his values, his humanity, his risk taking, and his ability to be a visionary. I wanted to be a figure skater, and did that when I was young. Unfortunately, when I hit my growth spurt, my tall stature and skating did not come together well for me, so I played basketball and was successful in that pursuit, which resulted in a full basketball scholarship. No, I participated more so in figure skating showcases at that age. Around age 7, and then I started playing basketball. I remember my third grade teacher really well. Her teaching approach opened up the importance of education for me. As I reflect in the role I’m in now, I realize that her ability to bring kids together from various backgrounds, no matter what their similarities or differences were, that influences me to this day. What was your favorite album in high school? I’m a huge Michael Jackson fan. I was one of those people who cried at concerts. The first one I went to was when his “Off The Wall” album was out. What is something that not a lot of people know about you or that you wish people knew? I have never missed an episode of “The Young and the Restless” since I was 7 years old. My grandmother was a huge fan, and we used to watch it together. The world stopped. She would take the phone off the hook and since there was no DVR back then, we had to wait to go to the bathroom until commercial breaks. What lessons have you learned from the challenges of being a woman of color in leadership role in major company? I learned to not allow anyone to make me second guess myself. As a woman of color, there certainly have been micro-aggressions or opportunities I knew I was ready for and was perhaps the best candidate for, throughout my career. If you’re not careful, those things can start to grate on your self esteem. What helped me was remembering the lessons my family taught me about my value. Once you’re grounded in who you are, no one can knock you down. These young women are in such an incredible time right now in their journeys. My biggest piece of advice would be, don’t feel like you have to have everything in your life mapped out, but have an awareness of the types experiences you want or are passionate about and pursue them. Pursuing experiences your passionate about will open doors; some you never imagined for yourself or thought possible. 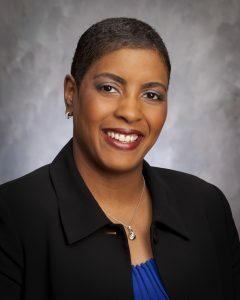 Manika Turnbull is Vice President and Chief Diversity Officer for Health Care Service Corporation (HCSC), which is the parent company of Blue Cross and Blue Shield Plans in Illinois, Montana, New Mexico, Oklahoma and Texas. In her role, Manika is responsible for managing HCSC’s Center for Diversity and Inclusion (D&I) initiatives, ensuring that diversity and inclusion remain cornerstones of HCSC’s culture and continue to be integrated into its business operations. Prior to her role as Chief Diversity Officer, Manika was Chief of Staff for Blue Cross and Blue Shield of Illinois (BCBSIL), responsible for supporting all activities of the Office of the President, including strategic planning, messaging and positioning, budget and personnel administration and coordination. Turnbull has been with HCSC for eleven years. Manika is an active member of the Chicago community. She is a member of several boards and councils, most notably United Way Women’s Leadership Council, Facing History and Ourselves, an organization that teaches children about racism and prejudice to prevent it from happening in the future, and Playworks Illinois, which aims to improve the health and well-being of children through physical activity. Manika is a graduate of James Madison University, where she was team captain of JMU’s NCAA Division I women’s basketball team. Manika holds a master’s degree and Ph.D. from The Chicago School of Professional Psychology, where she also serves on the Board of Trustees and recently received the 2016 Distinguished Alumni Award. 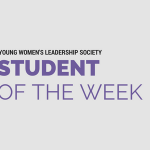 She is a 2015 Leadership Greater Chicago (LGC) fellow and serves on LGC’s Board of Directors. Manika was named a 2013 Diversity MBA Top 100 Under 50 Emerging & Executive Leader. Additional recent accolades include being named a 2016 Chicago Defender Woman of Excellence; receiving 40 Under 40 Awards from both the Congressional Black Caucus Health Braintrust and The Network Journal; being named one of 2016’s Most Powerful & Influential Women in Illinois by the Illinois Diversity Council; and being named a 2017 Chicago Business Journal Woman of Influence.